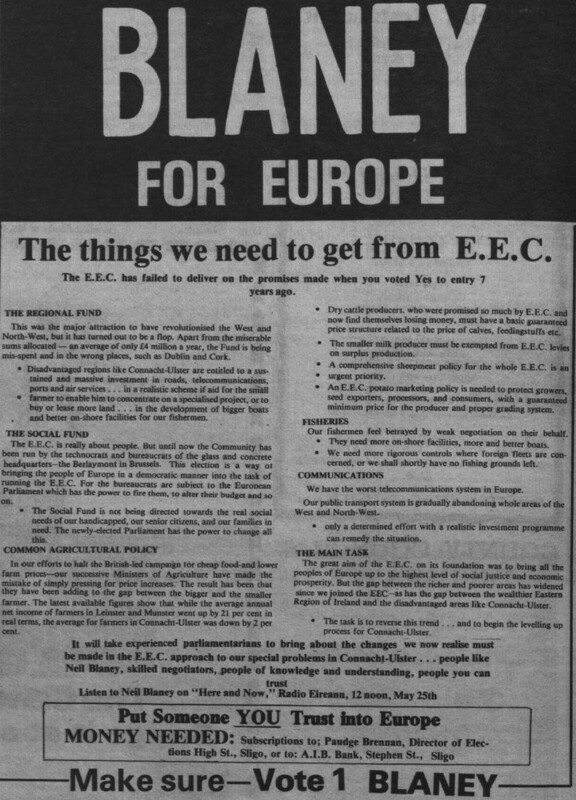 From the 1979 European Elections ads from The Galway Advertiser for Independent Fianna Fail candidate Neil Blaney running in Connaught Ulster. “The EEC has failed to deliver on the promises made when you voted Yes to entry 7 years ago” writes Blaney giving details on faults from Potato marketing policy to The Regional Fund. 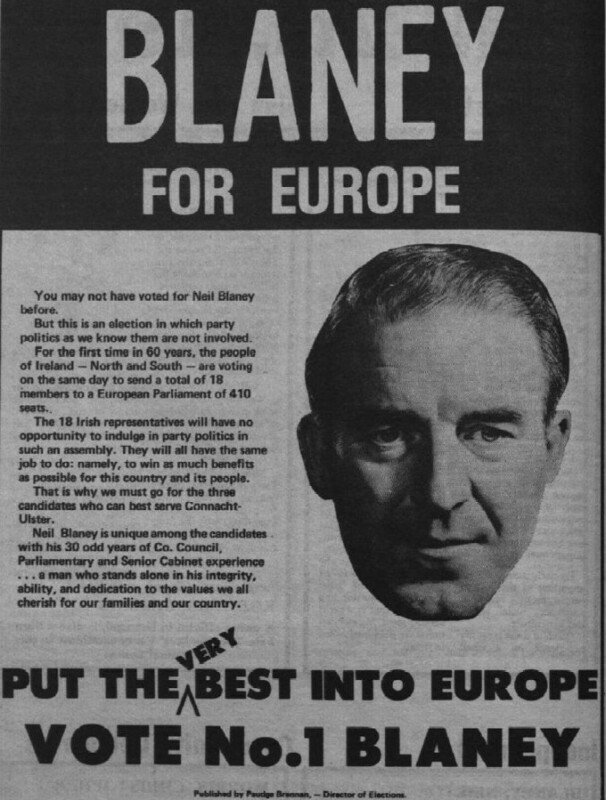 Blaney topped the poll and was elected on the first count.